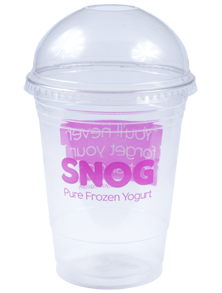 Our PET Plastic Cups can be printed up to 6 colours in process inks, which are all specialised to be food safe and odourless. 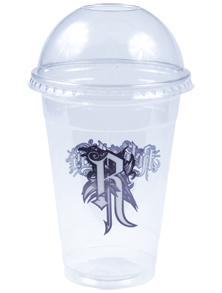 We use the highest resolution we can to make the images on your personalised cup appear professional, flawless and a display of the highest quality that your business can be proud of. We use only the highest quality, heavy weight, crystal clear PET plastic. This gives them superior rigidity and makes them perfect for displaying your cold drinks such as Iced Coffees, Milkshakes or Slush Drinks. They are also a great alternative solution for vibrant products such as Fruit Portions or Layered Salads. Made from crystal clear PET, these are the perfect option for really showcasing your vibrant and creative products. Best suited for cold drinks such as Milkshakes, Iced Coffees, Soft Drinks, Slush Drinks and Smoothies. Why not try a Layered Salad in them too though?